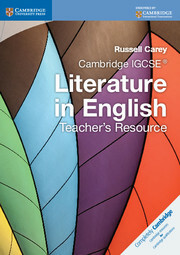 Cambridge IGCSE Literature in English: Teacher's Resource CD-ROM provides all the guidance and support needed to teach the Cambridge IGCSE Literature in English syllabuses (0486 and 0476) and other related courses when used in conjunction with the linked Cambridge Coursebook.It contains a wealth of teaching material including student handouts, editable worksheets, annotatable text extract sheets and image resource sheets, teacher's notes, template lesson plans and a contents grid which signposts differentiation opportunities. 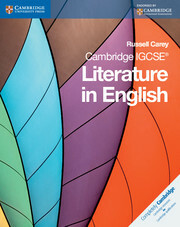 The CD-ROM also provides support in understanding the requirements of the Cambridge syllabus and exam papers and teaching materials to help students develop the necessary informed personal response to literature.Mac users please note that CD-ROMS don't autostart when used with Macs they will need to be started manually. If you have any queries please visit our customer support page or contact customer services. Fully matches the requirements of the syllabus. 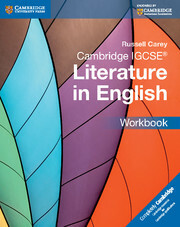 Provides support material for teaching literature following the Cambridge syllabuses. Contains editable worksheets, teacher's notes and template lesson plans. Written by an experienced teacher and examiner.